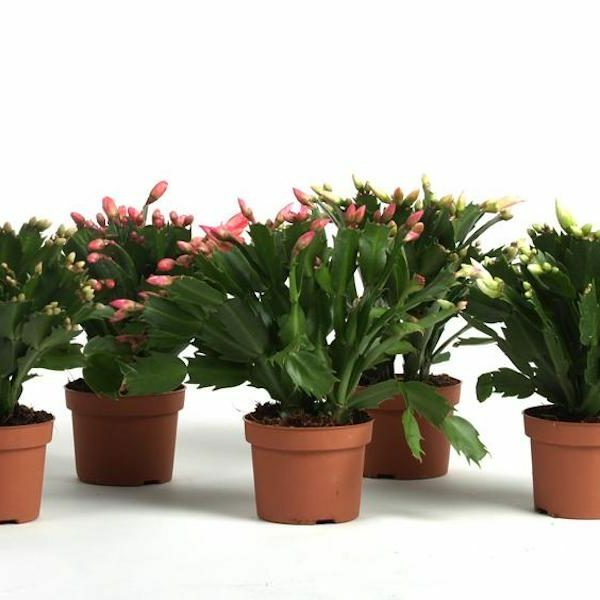 Schlumbergera is our main crop and this beautiful plant has been included in our product range since 1975. Over the years, we have gained the requisite knowledge of this plant, so we know how to grow this plant effectively. With the arrival of new technological resources, this knowledge continues to be expanded and this remains a continuous learning process in which we closely track and anticipate the growth of the Schlumbergera. 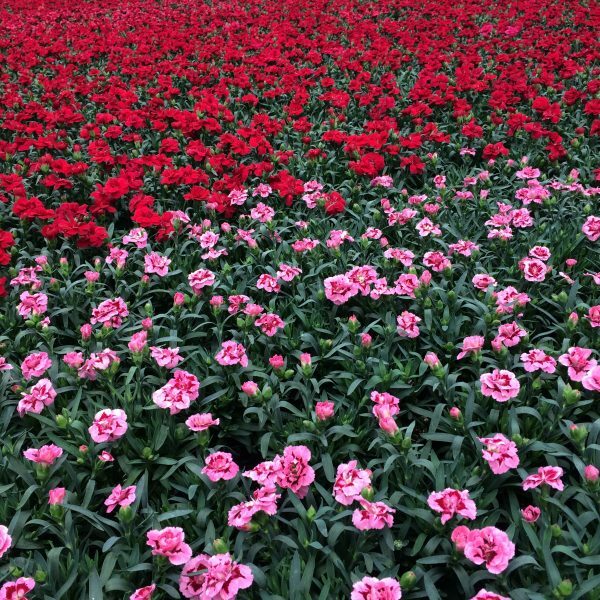 In the spring, we also have Dianthus, or potcarnations, available in pot sizes 9 cm, 10.5 cm and 13 cm in various colours. Also in the spring we have Hibiscus on stems in a 15 cm pot and 19 cm pot in various colours, including several with double-coloured blooms. 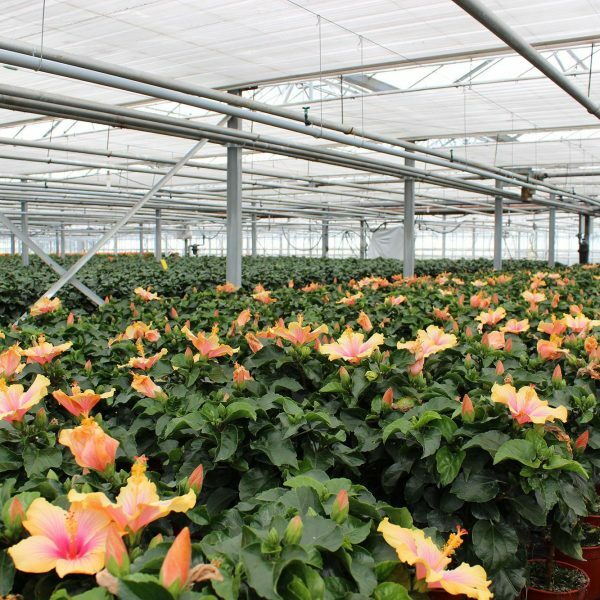 The Hibiscus that we grow in cooperation with our colleague Decorum grower Kwekerij Groenhof in Poeldijk. Kwekerij Groenhof supplies the half-grown plant and we finish growing the plants in our own greenhouses. We were able to include this charming outdoor plant in our assortment in 2018 due to space becoming available in our greenhouses. 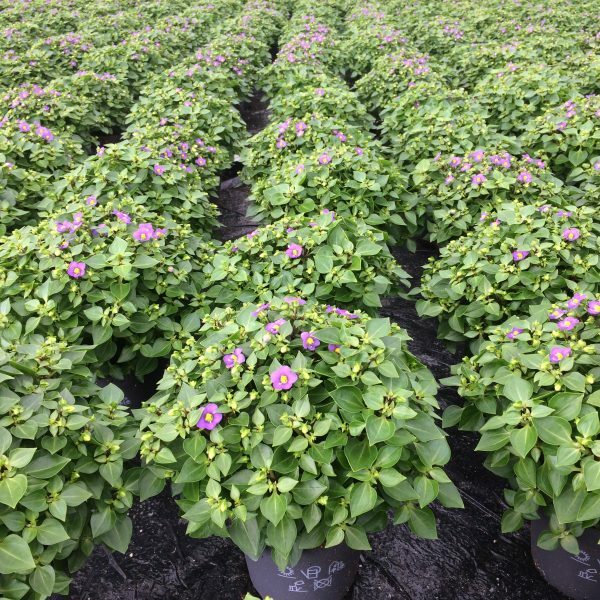 It proved to be a great success; the crop fits in well with the rest of our product range, and it has created enthusiasm among our customers, which means Calibrachoa is set to be a stayer. The Exacum Affine is fairly new to our spring product range. We started with this in 2016 and this crop continues to expand in our greenhouses. 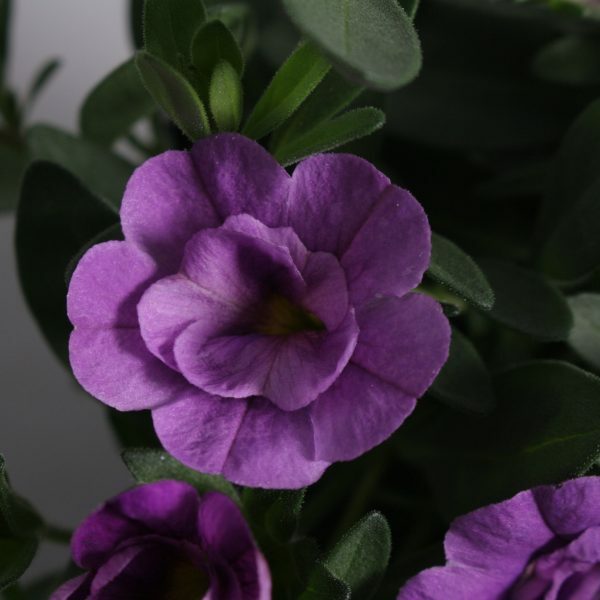 We grow this plant in a 13 cm pot in the colours Blue Star and White Star.